An autobiographical drama about a young woman who asks how she came to be adopted. In this memory play where the shocking truths are revealed, she comes to understand how wonderful it is when a family makes the choice to love a child they bring into their home. International Women's Voices Day is a global event of free readings of plays written by women in conjunction with the one-year anniversary from 2017's historic Women's Marches. 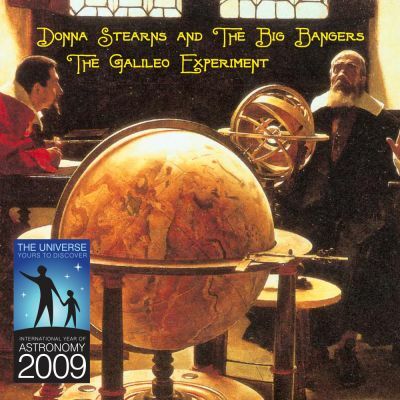 A New Song by Donna Stearns Celebrating the arrival of the spacecraft Dawn at Vesta. "Up Up Up in the Sky"
A New Song Celebrating the 400th Anniversary of Galileo Galilei's Most Excellent Scientific Discoveries! ONCE UPON A GALILEAN NIGHT: The Anniversary School Tour. Celebrating the 400th year since Galileo's biggest discoveries! Presented by Moonbeam Productions. Once Upon a Galilean Night is a 40 minute, science-themed presentation recommended for grades K-6. Other Projects include: All The World's a Stage, The Merry Month of May, The Dentist, and other past shows.